BRYAN EATON/Staff photo. 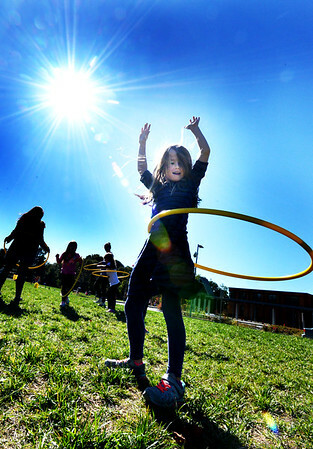 Eva Moyles, 7, practices her hula hoop skills at Newburyport's Bresnahan School, which is tied to physical education class, under a sunny sky. The bright weather and warm temperatures are here throughout the weekend until Tuesday night when rain is in the forecast.